From the 1,000-plus companies surveyed, the newspaper awarded ‘Top Workplace’ honors to the 125 companies whose employees scored them the highest. It was with great excitement that we attended this year’s Top Workplace gala at the City National Grove of Anaheim. A huge “thank you” goes out to everyone on our staff for showing us so much love in the surveys. We’ll continue to build on this to make sure LoanNow continues to be a place you love to work at. 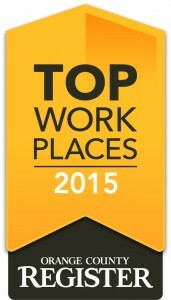 For a few extra tidbits about our Top Workplace honor, check out this article on Yahoo Finance.